So which is it, 48 hours or five weeks? Are these pretzel bites ticking like a time bomb? 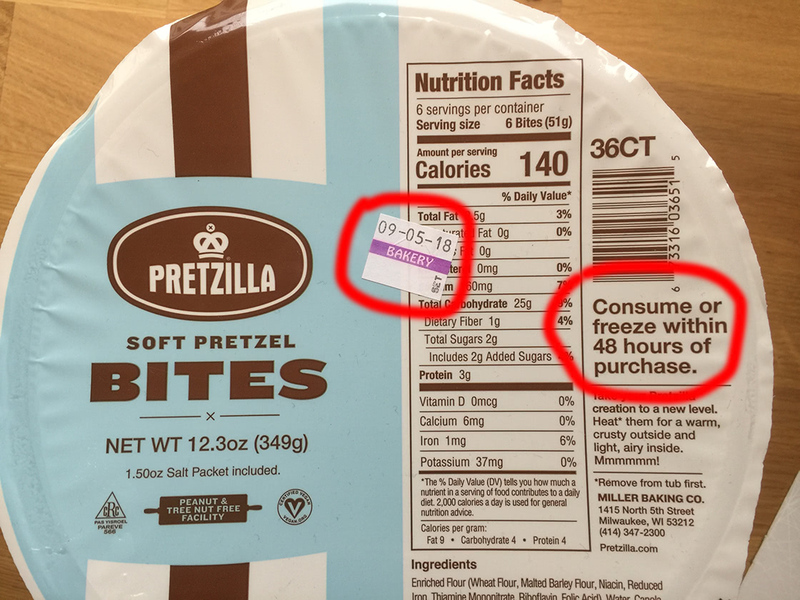 Or is Pretzilla just encouraging the buyer to pig out?